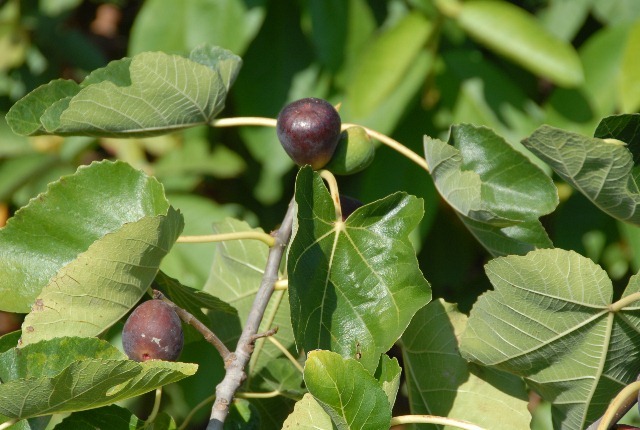 First written about in 2738 BC and revered as a staple food of the rich and the poor, the fig has a history that is as long and varied as the history of mankind. The Ancient Egyptians left baskets of the sweet fruit in the tombs of kings and their armies so valued the fig that they would destroy the trees of the enemy to take down their food supplies. The good news is that we don’t have to rely on figs as our primary source of food, but that doesn’t mean we can’t grow our own fig trees and enjoy the sweet, sticky goodness at home. The fig tree finds itself at the core of the tale of Romulus and Remus, the twin brothers purported to have founded Rome. The legend has it that the brothers suckled from a she-wolf in the shade of a fig tree in what is now Rome. Cleopatra ended her own life after requesting that an asp (an Egyptian cobra) be delivered to her in a basket of figs. Fig trees are relatively easy to grow, so long as you give them a well-drained soil and as much sunlight as you can muster. Morning light is especially good as it will dry the dew that can sometimes lead to disease. There are varieties of fig that are well-suited to growing in large containers, so check with your local garden center to find out what will grow best in your area. Because the fig is a Mediterranean tree originally, it is best suited to the warmer climates of zones 8 and higher. When transplanting a fig tree from its nursery pot, bury it 2-3” deeper than it was in the pot and avoid fertilizing it when planting. It is also wise to prune the small tree when transplanting to reduce water loss and encourage a fuller tree. Of the fruiting fig trees, there are those that will produce a single time each year and those that will produce twice. The way you prune these will depend on which variety you have. Single producers should be pruned heavily, as the new growth is where the tree will bear fruit, while double producers can produce on both old and new growth and should not be prune as severely. Figs are ripe for harvest when they have gone soft and have a small, sticky “tear”. While they can be dehydrated for future use, there is nothing more satisfying than eating fresh figs. Previous post: Are You Investing in the Future of Your Food? Next post: What Is An Heirloom Vegetable Plant?